GP Graders have been manufacturing unique machinery for growers and packers around the globe for 50 years. 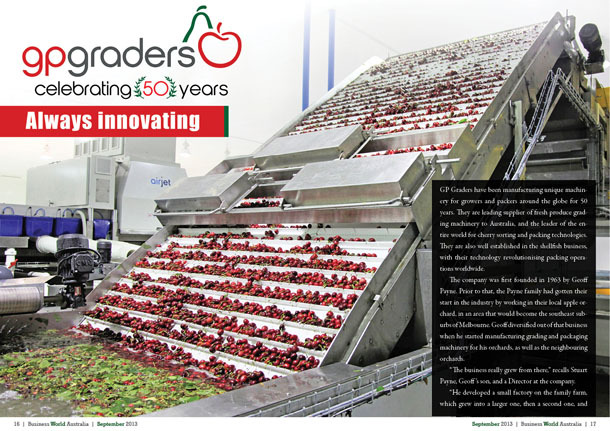 They are leading supplier of fresh produce grading machinery to Australia, and the leader of the entire world for cherry sorting and packing technologies. They are also well established in the shellfish business, with their technology revolutionising packing operations worldwide. The company was first founded in 1963 by Geoff Payne. Prior to that, the Payne family had gotten their start in the industry by working in their local apple orchard, in an area that would become the southeast suburbs of Melbourne. Geoff diversified out of that business when he started manufacturing grading and packaging machinery for his orchards, as well as the neighbouring orchards. 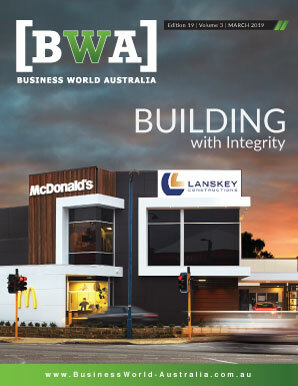 “The business really grew from there,” recalls Stuart Payne, Geoff’s son, and a Director at the company. Stuart and his brother Ian essentially grew up in the business. The two of them have served a variety of roles since they officially joined in the 90s. They took over as Directors in 2005, when their father retired. Since the beginning, GP Graders has evolved considerably. They’ve now supplied more than 800 turnkey fruit-packing lines around Australia, and have exported more than 250 turnkey cherry-grading lines for international customers. Their export markets have included Chile, Turkey, Greece, Norway, the United States, New Zealand, and more. GP Graders’ successful foray into the export market began many years ago, when they realised their domestic prospects were weak and growing weaker. The company released their first exported machine in 1997, to an Italian customer. 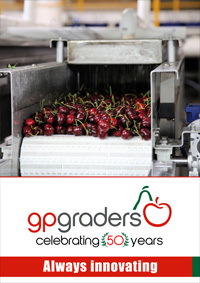 The machine was a cherry-grading machine, which GP Graders had been producing and refining since 1985. They had developed that machine specifically for cherries, and they realized in the late -90s that they “really had something unique,” Stuart says. “We were specializing in a product and a niche that no one else around the world was really touching,” he says. In 2005, Stuart travelled to Spain, where he started to talking to someone he respected in a similar industry. He says that was a defining moment in the evolution of GP Graders. When he returned home, Stuart and Ian set about developing GP Grader’s own electronic cherry-grading machine. In every season since, GP Graders has been further developing their electronic grader, and achieving more success with it every year. According to Stuart, the benefit of the electronic grading system over the old mechanical one is an increase in accuracy in size reading. This is critically important, as cherries are sold in grades, and different grades command very different prices. With GP Graders’ machines, they can accurately gauge size 98.5 per cent of the time – up from 60 per cent with the old machines. That development was a major one, but GP Graders was not done innovating. Stuart says their ultimate goal was never just being able to accurately judge the size and colour of the cherry – they also wanted to be able to check for defects that would diminish the cherry’s value. The next step, Stuart says, was to develop a new product – which they have done in collaboration with a Dutch-based company. That partner company developed the electronics and software for that product, while GP Graders developed all the hardware and mechanical equipment that went with it. In 2011, that teamwork resulted in GP Graders’ first “defect system,” which utilised a new camera to detect softness, bruising rotting splitting, and other issues. GP Graders’ commitment to excellence and constant innovation has not gone unnoticed by their customers – nor has it gone unnoticed by the industry at large. Last year, GP Graders was proud to be a winner at the Governor of Victoria Export Awards, where they took home both the Small to Medium Manufacturer Award and the overall Innovation Excellence Award.